Greenhouse gas emissions are causing global climate change far beyond natural variability. Earth’s climate changes over vast time frames due to natural factors. However, over the past century human greenhouse gas emissions from industry, transportation, agriculture, and other sources have led to global climate change far beyond natural climate variability. The growth in atmospheric concentrations of carbon dioxide and other greenhouse gases has caused increases in global average temperatures, widespread melting of snow and ice, increased annual rainfall, and rising global average sea level.The surface air temperatures from the last 100 years is now the warmest in modern civilization, and the last three years are the warmest on record for the globe, according to the US Global Change Research Program (see “Additional Resources” below). Climate change affects our livelihoods through impacts on water, energy, transportation, infrastructure, agriculture, ecosystems, and human health. Communities are beginning to focus their attention and resources towards assessing their vulnerability and developing adaptation strategies that plan for warmer temperatures, sea-level rise and extreme weather. Some regional consequences will be warmer summers, more mild winters, and a continued increase in annual precipitation for the Northeast. As temperatures rise, winter precipitation will increasingly fall as rain rather than snow. Both snow season length and snow depth are decreasing, with significant impacts to water resources in the region. An increase in the frequency and severity of extreme precipitation events are also being observed, which contribute to flooding that is both more frequent and more severe due to increases in runoff. Nonpoint source pollution continues to impact the health of our waters. And increased runoff and elevated temperatures in turn can both contribute to the persistence and prevalence of harmful algal blooms in lakes and ponds, bays and estuaries, and may impact drinking water sources. Increased water demand, altered stream flow, degraded water quality, saltwater intrusion of coastal aquifers, drought, and increased coastal flooding are also likely. Warmer temperatures can also extend the range and prevalence of aquatic nuisance species. Coastal areas in the Northeast are experiencing warmer ocean waters, rising sea levels, and stresses on coastal marshes and wetlands. 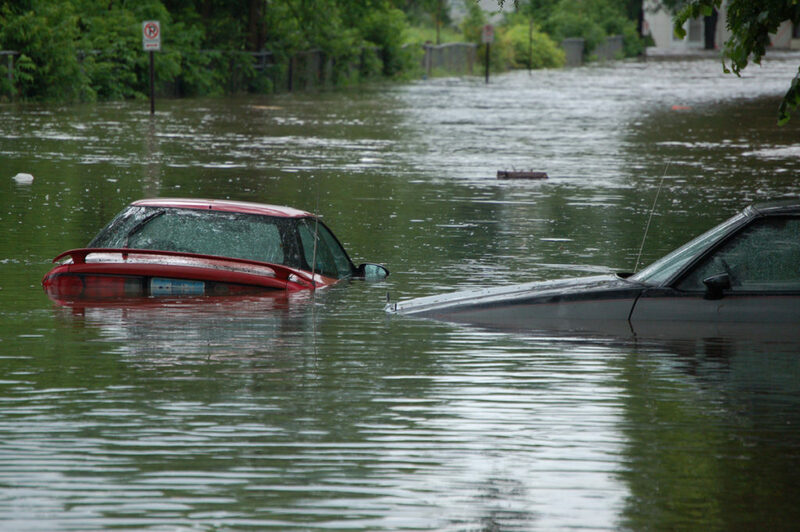 Urban areas–including many aging water and transportation infrastructures, such as wastewater treatment plants–are feeling the effects of more frequent and severe rain events. The change in precipitation has direct implications for the storm resiliency of wastewater systems, including stormwater systems that must handle runoff. NEIWPCC helps wastewater treatment facilities increase their storm resiliency. The Commission identifies climate change as a cross-programmatic priority, with implications for many water-quality programs in our member states. State and local adaptation strategies are coming to the forefront. NEIWPCC has established a Water Resources Adaptation workgroup to track these issues and coordinate monitoring and policy responses. For more information, please contact NEIWPCC’s Climate Change Coordinator, Audra Martin. See also the Water Resource Adaptation & Climate Change Workgroup.